Home to more than 450,000 people, Virginia Beach is the largest city in the Commonwealth of Virginia and the 39th-largest city in the US. The city finished the 2016/17 financial year with an unemployment rate of just 3.7 percent and attracted investment of over $170m (€145.6m) in the same period. As a result, Resonance Consultancy named Virginia Beach on its 2018 World’s Best Cities list, and the city has been internationally recognised as one of the best places to live, work and conduct business. This is in no small part down to Virginia Beach’s educated workforce, low tax rates, diverse economy and strategic location; the city is within a day’s drive of two thirds of the US population. The many advantages boasted by the area may have already created a vibrant business climate but, nevertheless, Virginia Beach Economic Development is committed to improving the local economy and helping international businesses make the most of their investments. Surrounding the world’s largest natural deep-water harbour, the Virginia Beach Metropolitan Statistical Area offers a strong intermodal infrastructure that includes two Class I railroads, one of the US’ largest ports, and major north-south and east-west interstate highway connections. The city’s transport network, coupled with the strength of its manufacturing sector, has helped it develop into a dynamic maritime and logistics hub. Virginia Beach’s mid-Atlantic location also means it is ideally positioned for manufacturers engaged in international trade. The local business community is composed of a highly diverse collection of companies, including nationally and internationally recognised corporations, technologically advanced manufacturers, billion-dollar defence contractors and small, locally owned businesses. What’s more, Virginia Beach has eliminated tax on equipment used within the manufacturing industry, meaning companies are no longer taxed on the purchase of goods used directly as part of the production process. Numerous workforce development programmes are also in place to help manufacturers develop a highly skilled workforce. As a result of this favourable business environment, the region is home to nearly 200 international companies – as well as 11 consulate offices – representing at least 30 countries. The Virginia Beach international business community includes global brands such as STIHL, Busch, IMS Gear, Kettler, Hermes USA and SANJO Corte Fino. 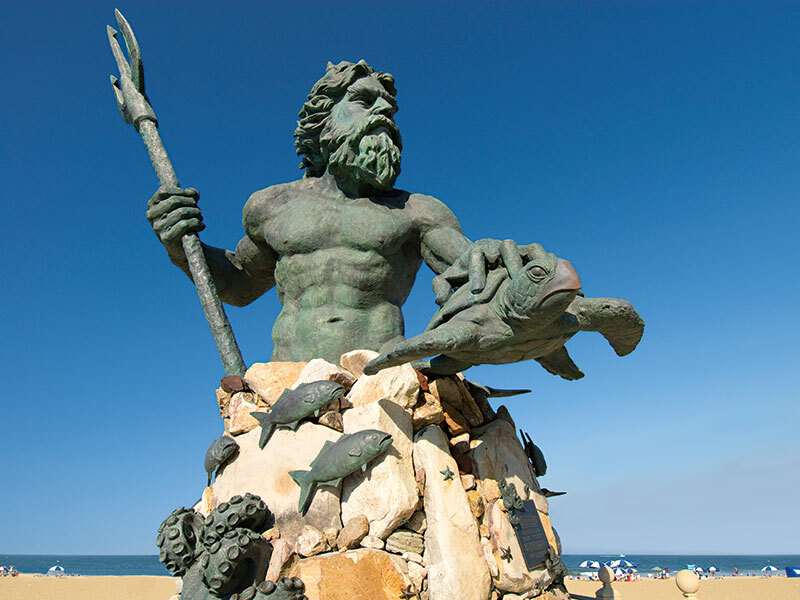 While these organisations may be of varying sizes and industries, it seems there is one thing they can agree upon: Virginia Beach is the perfect location in which to conduct business. With the world’s fastest subsea data cables at its disposal, Virginia Beach is now a Tier 1 digital port city and an emerging global innovation hub. The cables, which were installed by Microsoft, Facebook and Telxius, connect the city to Europe and South America. Meanwhile, Globalinx’s carrier-neutral, co-location centre gives any carrier direct access to both cables, allowing them to reach customers in Europe, Africa, the Middle East and South America more efficiently than anywhere else in the world. A third high-speed cable, provided by ACA International and South Atlantic Express, will connect the US directly to South Africa. Joined by a partner system in Fortaleza, Brazil, the new cable will ensure Virginia Beach has a truly diverse transatlantic network. Once complete, the second phase of the operation will connect South Africa to Asia, too. Virginia Beach Economic Development offers assistance to companies interested in taking advantage of the region’s substantial business benefits and growing international presence. The department is accredited by the International Economic Development Council and is one of only 50 economic development organisations in the world to have earned this recognition. Its global network, which includes business development offices in Germany and Spain, as well as a trade office in the Philippines, offers local and international businesses the perfect opportunity to expand into Virginia Beach’s dynamic economy.